These high chairs come in a variety of finishes, including dark, natural, mahogany, and walnut, ensuring you will find the perfect seats for your restaurant’s unique decor. We also offer plastic chairs with detachable, dishwasher safe trays. 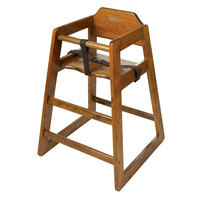 Baby high chairs are perfect for use in any restaurant, buffet, pizzeria, cafe, or bistro. Restaurant high chairs are sure to keep customers feeling cared for and welcomed. Several of these items also have wheels for easy transportation and storage. Whether you are looking for wooden or plastic chairs, our wide variety of colors and styles will have just what you’re looking for. For more products to help accommodate your youngest customers, check out our placemats, plastic cups and lids, and bib aprons. 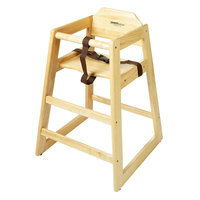 If you're wondering where to buy get enterprises high chairs, we have a large selection of get enterprises high chairs for sale at the lowest prices.